Savitri (born Savitri Nissankararao, 6 December 1936 – 26 December 1981) was an Indian film actress, playback singer, dancer, director and producer. She appeared mainly in Telugu and Tamil, as well as Kannada, Malayalam, and Hindi language films. 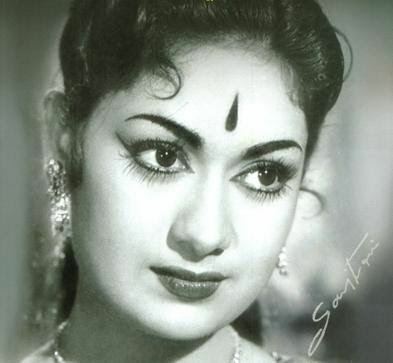 Widely regarded as one of the finest actresses of Telugu cinema, Savitri made her lead role debut with the 1952 Telugu film Pelli Chesi Choodu. 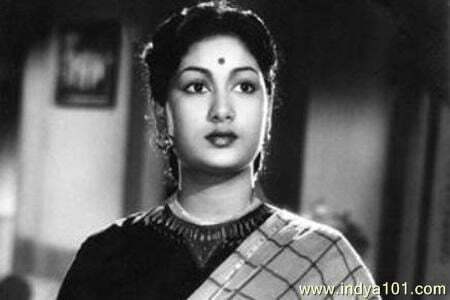 In 1960, she received the Rashtrapati Award for her performance in the Telugu film Chivaraku Migiledi. In 1968, she produced and directed the telugu film, Chinnari Papalu for which she received the state Nandi Award for Best Feature Film (Silver). She was honored among "women in cinema" at the 30th International Film Festival of India. 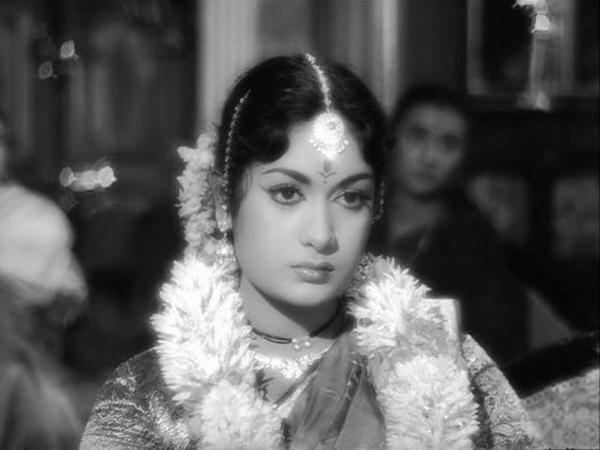 She is best known for her work in award-winning films such as Devadasu (1953), Ardhangi (1955), Missamma (1955), Donga Ramudu (1955), Amara Deepam (1956), Thodi Kodallu (1957), Mayabazaar (1957), Abhimanam (1958), Mangalya Balam (1958), Appu Chesi Pappu Koodu (1959), Sri Venkateswara Mahatyam (1960), Chivaraku Migiledi (1960), Manchi Manasulu (1961), Aradhana (1962), Gundamma Katha (1962), Rakta Tilakam (1963), Mooga Manasulu (1963), Doctor Chakravarthy (1964), Pooja Phalam (1964), Devata (1965), Pandava Vanavasam (1965), Kanya Sulkam, Naadi Aada Janme, Prana Mitrulu (1967), Varakatnam (1968), Maro Prapancham (1970), Manase Mandiram (1966) and Jagan Mohini (1978). Her Tamil work includes Kalathur Kannamma (1959), Pasamalar (1961), Pava Mannippu (1961), Paarthal Pasi Theerum (1962), Karpagam (1963), Karnan (1963), Kai Kodutha Deivam, Navarathri (1964), and Thiruvilaiyadal (1965). Savitri's parents are Nissankararao Guraviah and Subhadhramma. She was born in Chirravuru Tadepalle Mandalam (near Undavalli) in Guntur, Madras Presidency, now part of Andhra Pradesh in a Telugu speaking family. Her father died when she was 6 months old. She had an elder sister named Maadhuri. Later, her family moved to Chirravuru. She studied in Kasturbhai High School. She learned music and Indian classical dance from Sistla Purnayya Sasthri, starting from the age of 8. She performed stage shows as a child. Savitri married Tamil actor Gemini Ganesan in 1955. Her marriage became public when she signed a photo for a Lux advertisement as Savithri Ganesh three years later. They had two children, Vijaya Chamundeswari and Sathish Kumar. Savitri gave a few public performances as a child artiste in Vijayawada. Later, she worked in a theatre company run by kongara jaggaiah. She also started her own company, the Navabharata Natya Mandali. Her best stage role was in Atma Vanchana, written by Bucchi Babu. She was offered a role in 'Agni Pariksha' in 1949. However she looked too young (she was 14) in screen tests and so was dropped. 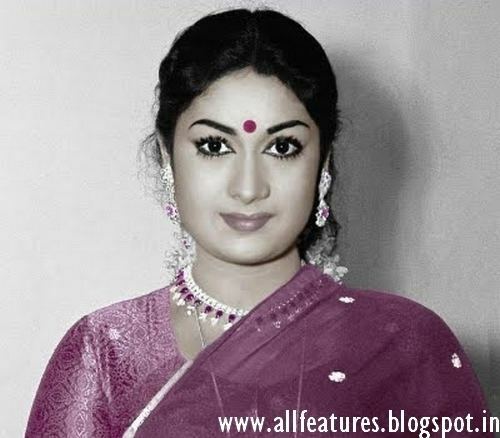 Then, she was selected for the lead role in the film Samsaram by the banner 'Sadhana Chitra' in 1950. Because of stage-fright she needed a lot of retakes on the floor so she was dropped again. She was replaced by Pushpavalli and was given a small role, with Nageswara Rao. She performed a dance in Pathala Bhairavi in 1951. Savitri acted in a few Hindi films such as, Bahut Din Huwe, Ghar Basake Dekho, Balaram Shri Krishna and Ganga Ki Lahren. Savitri starred in a few Kannada films such as Thaayige Thakka Maga, Ravichandra, and Chandanada Gombe. She is known for play back singing, and some of her works are "Sundari Neevanti" from Mayabazar, "Rangu Rangula Sila" from Navarathri (1966) and Neevevaro from Annapurna (1960) which she gave voice for actress Girija. 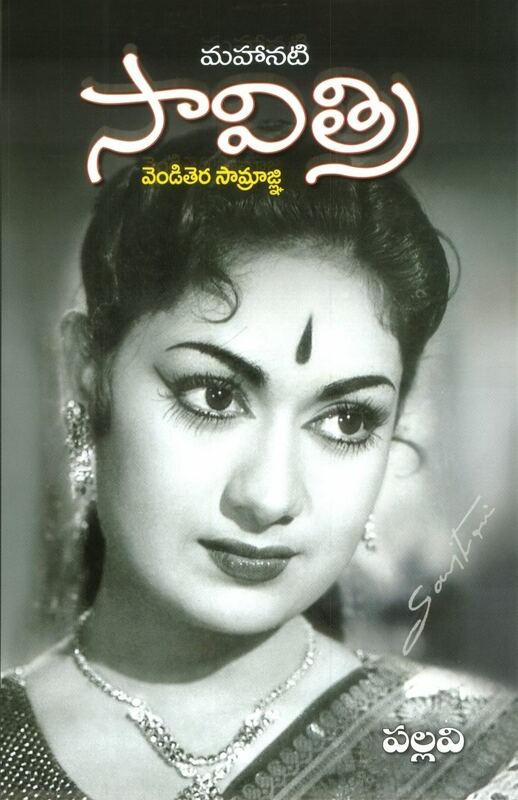 Savitri has directed films such as, Chinnari Papalu, Chiranjeevi, Maathru Devatha,Vintha Samsaram, Kuzhanthai Ullam and Praptham. Savitri died on 26 December 1981 as a result of substance abuse. Rashtrapati Award, Nandi Award, Kalaimamani, Mahanati Savitri, and Nadigayar Thilakam.